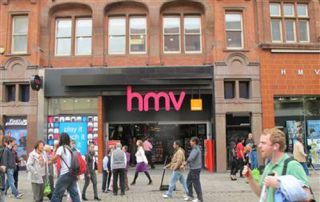 HMV deal saves 132 stores and 2500 jobs | What Hi-Fi? Restructuring specialist Hilco has come to the rescue of troubled music and movies retailer HMV, acquiring 132 HMV stores in the UK and potentially saving 2500 jobs. Hilco, which owns HMV Canada, has also acquired nine branches of the Fopp chain. The deal is thought to be worth around £50m. Hilco acquired HMV's debt back in January, making a rescue deal more likely. HMV collapsed in January, hit hard by competition from supermarkets and online retailers. It operned its first shop on London's Oxford Street in 1921. At its peak it had 400 outlets around the world.